Fishing gear that poses a hazard to navigation because it cannot be readily seen has been a concern to boaters for many years and it has been on the RYA’s agenda for just as long. If there was a simple solution to the problem, the RYA would have fixed it a long time ago. Legislation focuses on the marking of fishing gear for identification purposes and not for collision avoidance, which is of course the RYA’s main concern. 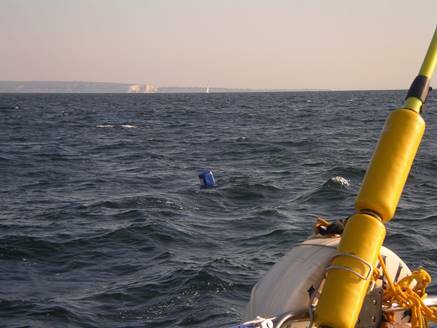 There is a general marking requirement in UK legislation that in effect states that within UK Territorial Waters “Marker buoys and similar objects floating on the surface and intended to indicate the location of fishing gear shall be clearly marked at all times with the letter(s) and number(s) of the vessel to which they belong”. Even if this legislation was adequately enforced, the problem would remain that gear needs to be marked so that it can be seen. Data on entanglements is poor and lacks detail. At a recent meeting of the Maritime and Coastguard Agency UK Safety of Navigation Committee, it became apparent that new data is needed in order to demonstrate the danger of poorly marked fishing gear to recreational boaters. Anecdotal information doesn’t quantify the problem. In response, the RYA decided to revise its old ‘paper report’ as an online form which is readily available on the RYA website at www.rya.org.uk/go/entanglements. RYA Cruising Manager Stuart Carruthers explains: “In the late 2000s, boaters were able to report fishing gear entanglements to the RYA. This is the only data we are aware of which specifically quantifies entanglements with poorly marked fishing gear and it is clearly now rather long in the tooth. The RYA has a well-developed relationship with Government and its agencies and will continue to seek better regulation for marking, improved enforcement action for those who ignore the law, and robust data to support its work.